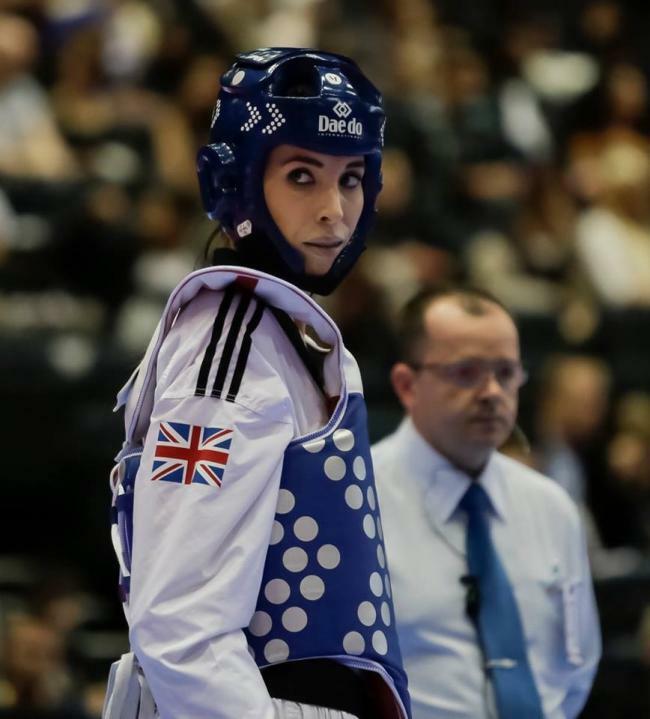 Jade Slavin towers above most her opponents but is now ready to step out from the shadows of her GB Taekwondo teammates. World champion, Bianca Walkden and European gold medallist, Lauren Williams, are also part of a 10-strong squad travelling to Eindhoven for this weekend’s Dutch Open. Welsh wonder Williams has won six of her last seven tournaments while Walkden launched her 2017 campaign with victory in Germany last month. High kicking Slavin, 24, collected silver in Hamburg and would love to go one better as she returns to Dutch Open action for the first time since 2015. “I am just happy to be competing again on a regular basis after my injury,” says the 6’3” Consett born star, fully recovered now from her previous hip problems. “I have come across nearly everyone in my weight. So, if I have lost against them before I know what I need to do to beat them if I fight them again. “I know their strengths and weaknesses,” added Slavin, a winner of the Austrian, Luxembourg and Serbian Open titles. “Training has gone well and while the volume has decreased, the intensity has gone up. Slavin competes tomorrow (Saturday) on the opening day of the tournament with Britain looking to put early medals on the table. Williams, a Dutch Open winner in 2015 and the reigning World Junior champion, is bidding for a fourth successive title. Also in action on Saturday is Peter Longobardi-Radford who has excelled since becoming a full-time member of the Academy last year. A Dutch Open champion in 2016, he is looking to add to his recent German Open triumph. Max Cater also passed his German test with flying colours (-58kg) and keen to double up in Eindhoven. Sunday sees Rio 2016 bronze medallist, Walkden, return to the mats. The Liverpool heavyweight was still a youthful prospect when she claimed a bronze medal in Holland 10 years ago. Now 25, Walkden defends her Dutch crown, having won six of her last seven tournament appearances while Wigan’s Rachelle Booth (-53kg) chases her first title of the year after finishing runner-up in Hamburg.